Responsible for maintaining Visit Lodi!’s social media platforms including Facebook, Twitter, YouTube, Instagram, Pinterest, andothers. Ability to think outside the box to drive engagement and online traffic to visitlodi.com. Maintain Visit Lodi!’s website, including updating the online events calendar, photography and optimizing the user experience and visitor engagement. Integrate all digital platforms and channels for maximum reach and engagement. Responsible for maintaining Visit Lodi!’s online presence including establishing links and making sure that the organization is representedon sites such as Trip Advisor, Yelp, and Visit California. Manage and create both daily and weekly content including video, blogs, and photography across all social media platforms. Produce digital and print marketing materials including newsletters and quarterly event calendar. Work with vendorsto secure photography and video as needed. Planning and implementing annual Influencer tour event. Assist the CEO and Visit Lodi! teamin the preparation of the annual marketingplan,printed collateral and budget. Prepare reports when requested showing social media results. Monitor and evaluate trends and competition staying on top of the latest/new platforms, recommending changes in current programs that maximize effectiveness. Prepare an annual Technology Assessment Report and make recommendations on mobile and website changes, as well as office systems. Attend and represent Visit Lodi! attrade shows, wine shows and local events to promote the destination. Manage the company’s digital library including blogs and other content. Produce PowerPointand other digital presentations for the CEO. Assist with the Annual Tourism Luncheon as needed. Fills in for the Administrative Assistant as needed. (Second on the door and phone). Other duties assigned by the CEO. Minimum of 1 year in communications, marketing, social media or public relations with an emphasis on social media preferred. Degree in Marketing, Public Relations, Communications or related field preferred, but not required. Significant experience with and understanding of social media outlets and marketing tactics including Facebook, Twitter, Instagram, and Pinterest. Must be comfortable behind a camera both in photography & videography including editing. 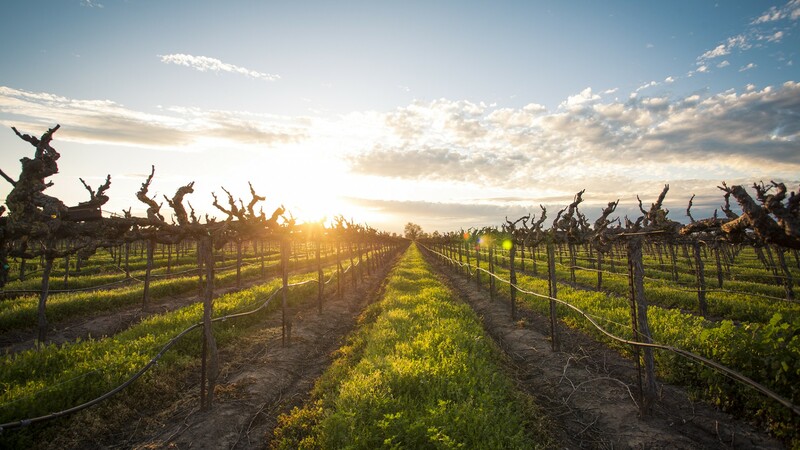 Extensive knowledge of Lodi including attractions, wineries, restaurants, hotels and other related tourism assets a plus. Significant experience in using Adobe Creative Suites, Microsoft Office applications, andInternet/Email. MUST be tech-savvy! Understandingof SEO best practices helpful. Excellent writing skills, including a strong command of grammar, usage, and vocabulary. Ability to work well with staff to build consensus, achieve goals and leverage resources. Abilityto meetdeadlines while prioritizing and handling simultaneous projects deadlines. Ability to develop and implement a department budget including the ability to stay at/under budget. Ability to sit at a desk for 6-8 hours per day if required. Ability to operate a computer keyboard and view a computer screen for 7-8 hours per day if required. Ability to set up and tear down tradeshow booths, equipment, and marketing materials. Must be able to bend and stretch to reach file drawers. Must be able to carry 30 pounds up a flight of stairs and lift 50 pounds in weight. Note: This job description is not meant to be all-inclusive. An employeemay be required to perform other duties as needed to meet the needs of the organization. Visit Lodi! is looking to fill the Digital Marketing Manager’s position immediately. Interested individuals should email a resume and cover letter to nbeckman@visitlodi.com. No phone calls,please. The position is open until filled.